Just one baler among many: Orwak's range range of compactors and balers is thought to be the world's largest. SAFETY In Action and Materials & Manual Handling exhibitor, Orwak , believes it has the world's largest range of compactors and balers. The comprehensive range extends from a small 120L wheelie bin compactor to a horizontal baler capable of processing 24 tons an hour. Almost any material, whether plastic, aluminium or paper-based can be managed by Orwak equipment. The product categories sold and serviced by Orwak include machines that will deliver compacted wet or dry waste directly into containers, multi-chamber balers for the sorting of materials, bagging compactors, front loading balers, high volume automatic balers and drum crushers. Aside from its comprehensiveness, the Orwak range sets itself apart on safety. The machines are designed for intuitive operation so that even staff with minimal training can use the equipment safely. To further limit hazardous access, electronic interlocks and manual devices prevent operation while machinery gates are open. 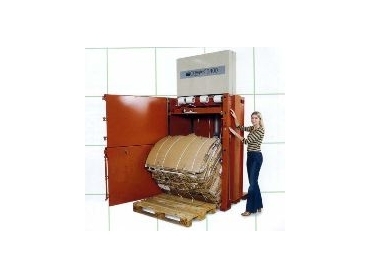 The Orwak range of compactors and balers will be on display at stand L46 during Safety In Action and Materials & Manual Handling, which runs from Monday 21 to Wednesday 23 March 2005 at the Melbourne Exhibition Centre. For more information or to register online, visit www.safetyinaction.net.au, phone Australian Exhibitions & Conferences on (03) 9654 7773 or email safety@aec.net.au.